Tuesday , February 16th at 5pm CML South High library ......African Dance class. Wednesday ,February 17th at 7pm CML Southeast library.............Family Drum Circle. Thursday, February 18th at 5:30pm CML Parsons library............. Storytelling. Saturday, February 20th at 2pm CML Martin Luther King library............ Family Drum Circle. Friday, February 26th at 6pm Olentangy Liberty High School..... OAAF program 'Drumming and Drum call '. Friday, February 26th at 1pm Columbus Bilingual ........... Storytelling/Drumming. Saturday ,March 12th at 12pm A plus Arts Academy......... Music for Deonte' Fisher's Memorial. Friday, March 25th at 6pm Easton Whole Foods Market......... Drum Circle fund raiser. Saturday, April 2nd at 2pm CML Driving Pk. library......... LIMBO/Drumming CMN program. Wednesday, April 27th at 6pm Olentangy Middle School.........' Drum Orchestra' for 1st Annual Cultural Festival. Saturday, May 7th at 5pm Central Ohio Folk Festival....... Drum Circle. Monday, May 9th at 5:30pm CML Driving Pk. library........... Music for Jodi Howell's community program. 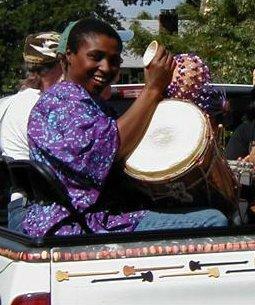 Tuesday , May 17th at 7pm Franklin Ave. Community Garden Anisa Ahmad............Drumming/Circle. Friday, May 27th at 10am Champion Middle School.............African Dance class. Saturday, May 28th at 6pm ....A plus Arts Academy High school on Napoleon Ave.'.DANCING WITH THE STARS' program ...... Drumming and African Dance. Tuesday, June 14th at 2pm CML South High library..... Storytelling Drum Circle. Wednesday, June 15th at 2pm CML Driving Park library..........Storytelling Drum Circle. Monday, June 20th at 7pm Worthington Library..........Family Drum Circle. Tuesday, June 21st at 11am CML Whitehall library..........Storytelling Drum Circle. Stage....... other dates ,just drumming with other stages (SEE the Schedule at COMFEST). Thursday, July 7th at 6:30pm Powell library...........Drum Circle. Monday, July 11th at 2pm CML Shepard library..........Storytelling Drum Circle. Wednesday , July 20th at 7pm Delaware library..........Family Drum Circle . Friday, July 29th-31st............Atlanta, Georgia area Performances (TBA). Tuesday, August 2nd at 1pm CND Summer Camp..... Storytelling and GRAND LIMBO CONTEST !!! 2nd Annual Limbo Fest...........PriZeS !!! Wednesday, October 19th ,20th and 21st at 3pm R.A.P. Conference Columbus ,Ohio.........Drumming,movement(the 19th only),and vending (selling Box Drums ). Tuesday February 24th.......... Family Drum Circle at Northside library at 6:30pm (Queen is featured in the SHORT NORTH GAZETTE). Thursday February 26th................Family Drum Circle at Karl Road library at 6:30pm. Village FESTIVAL........... 12noon - 7:00pm !!! COME AND JOIN IN ON THE FUN !!! Expo 3:00pm Downtown Columbus Convention Center... PRIZES !! Queen will facilitate a BOX DRUM making workshop. Saturday March 30th, 9am-5pm... Prevail-Respect program at Columbus State...Drumming throughout the day. Saturday April 13th at 12:30pm, Storytelling at Ohio History Center on 17th Avenue. at Isabelle Ridgeway on Hawthorne Ave. Drum Circle with the music students of ' Parish Musical Arts Conservatory'. Saturday June 8th , Southeast library at 12 noon......Family Drum Circle.... Summer Reading Club ' KicK Off PaRtY' ! Thursday June 13th 6pm, Chilicothe Public library, Storytelling performance in Chilicothe,Ohio. Monday June 17th ,at 2pm at Franklinton library .... Family Drum Circle. Tuesday June 18th, 2:30pm at Parsons library...Family Drum Circle. Monday June 24th at 2pm at Driving Park library.... Family Drum Circle. Wednesday July 10th at 2pm at Franklinton library....African Dance Class. Wednesday July 17th at 7pm , Delaware Branch library ..Storytelling performance. Monday July 22nd at 2pm at Shepard library.... Conga Line. musical entertainment with Michael Branch(saxophonist)... Queen will be the Drummer. Wednesday August 21st, 11am-2pm at Heritage Day Care on Dublin-Granville Rd. Jazz and Rib Festival.....Queen and friends will play music. will be at the Box Drum making booth..........and Drum Circle at the end of the festival. November 14th-17th in Hampton, Virginia 'National Association of Black Storytellers conference'..... with Emily Bailey and 5 -12 children.......we will be telling stories,dancing and drumming. Friday Jan. 14th .............a drum circle at Goodwill on Edgehill Road..with my brother Roger Parish....at 10am. Friday Jan. 21.............. 2 Altercare care centers..............Akron ,Ohio. Wednesday Feb. 9th Southeast Library 7pm. Family Drum circle. Thursday Feb. 10th Livingston Library at 4:30pm................Family drum Circle. 523 S. Wheatland Ave. 5pm. between 7:30am - 2:30pm. "DIVERSITY DAY"
dancing,limbo,songs and FUN FUN FUN with children and their teachers and some parents too....at 11am. be at Ashburn Center 85 S. Claredon Ave.
May 9th..............Sunset House 4040 Indian Road Toledo 43606..........10:00am. Fulton Manor nursing home 723 S Shoop Ave. Wauseon 43567........1:30pm. Vancrest nursing home 600 Joe E. Brown Ave. Holgate 43527......3:30pm. June 7th............Family Drum Circle at Linden Library 1:30pm. June 13th...........Drum circle at Driving Park Library......2:00pm. June 14th............Family Drum Circle at Northern Lights Library 1:30pm. June 15th.............Family Drum Circle at Shepard Library 2:00pm. June 18th........... Limbo/Conga Line at Northside Library.....2:00pm. June 20th............ Family Drum Circle at Karl Rd. Library at 2:00pm. June 23rd......Storytelling performance at Driving Park Library at 2:00pm. June 23rd...........Drum circle at Reynoldsburg Library........2:00pm. June 29th........... Limbo contest at Shepard Library at 2:00pm. June 29th..........Family Drum Circle at New Albany Library at 7:00pm. June 30th..........Family Drum Circle at Gahanna Library at 2:00pm. July 2nd............. African Dance class at Shepard Library.........2:00pm. July 23rd..............Storytelling at Community Day camp...........Somali Day. June 20............ Family Drum Circle at Karl Rd. Library at 2:00pm. Sadhguru is the speaker.... Isha Yoga. Music Network (CMN) Conference.... in Zion,Illinois....Beach Hotel. National Annual Black Storytelling Festival..